This simple design template is presented in a neutral colour scheme to enhance the presentation of your uploaded images. 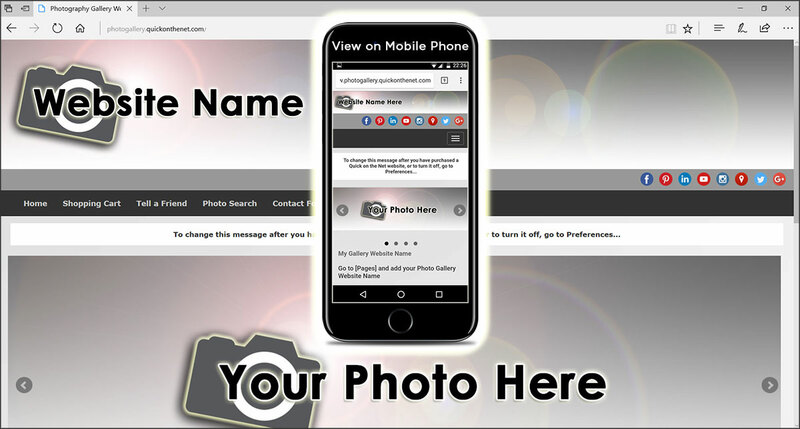 To help you get started, we have provided you with a stylish photography logo, but you can add your own business logo and completely re-brand this website to suit your needs. Also available in black, this photography website is an online portfolio of your work and it contains 4 separate photo galleries as standard, with the option of upgrading to 20 galleries in total. Just to clarify, each photo gallery can contain many different click-through photos. Sign-up to PayPal for FREE and you can add a PayPal Shopping Cart to your web page and also place PayPal payment buttons alongside your gallery images.